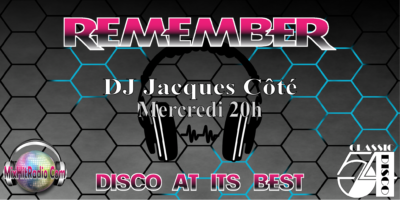 DJ Jacques Côté presents the great successes of the time, but in a completely different way. What you hear throughout the show, you will not be hear elsewhere. Its unique style brings a completely different dimension, but equally energizing. Wednesday 8pm.